Seasons Unlimited Inc is a professional custom wood construction company serving the greater Rocky Mt, NC region. We have a long list of very satisfied residential and commercial clients. 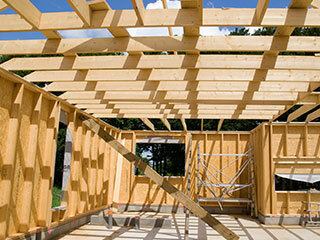 We maintain our success by employing only the most experienced and highly trained woodwork contractors. This enables us to offer our clients custom wood designs and constructions. No matter how large or small your project may be; we are the company for you. Feel free to browser our project gallery to get an idea of the quality and creativity of our custom wood construction works. Providing custom design services allows you to have the wood structure that you have always dreamed of! At Seasons Unlimited Inc we are a company comprised of three generations of builders, engineers and craftsman. This makes us a one stop building and construction company. We can build complete outdoor structures in-house or purchase them from reputable and qualified companies. Whatever your wood work needs are, we will meet them and exceed all of your expectations! All of our wood work is done in our shop or directly on site. We have access to a number of vendors who sell the highest quality wood products and materials. By using the best quality wood products on the market we are offering you top notch wood structures that will not only last a lifetime but will also look great too! We specialize in the custom design and installation of decks, porches, arbors, pergolas, gazebos, and fencing and out buildings. Basically, if it's made from wood then we can build it for you. So, if you are looking to install a stunning unique wood structure for your outdoor area; then Seasons Unlimited Inc is only a phone call away. Our woodwork contractors and designers will sit down with you and work out a custom design that will tick all of the boxes for you and for your property. Working with wood is an art, so leave it to a professional company and watch it all come to a reality. Enjoy the beauty, elegance and practicality of a custom wood installation for your property. 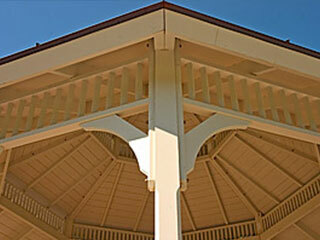 We also specialize in the preservation and restoration of historical landscapes and structures. So, if you have a period wood piece that needs some repair to get it back to its original form; them Seasons Unlimited Inc can do just that. We have a commercial grade molding and trim cutter in house that allows us to replicate any wood detail. It is a passion of ours to preserve as much period and historic features in landscapes and structures that we possibly can. We have all of the knowledge, resources and equipment to get the job done right and efficiently. For all of your custom and historic woodwork contact the team at Seasons Unlimited Inc today and we will come out to your property and provide you with a free consultation!